Oh please let me know how it comes out/ how you like it!! So very glad to hear!! Thank you for writing back! Such a beautiful, healthy looking salad. I’d certainly order that in a restaurant! This salad would work on my cleanse diet right now! And people think cooking is hard! 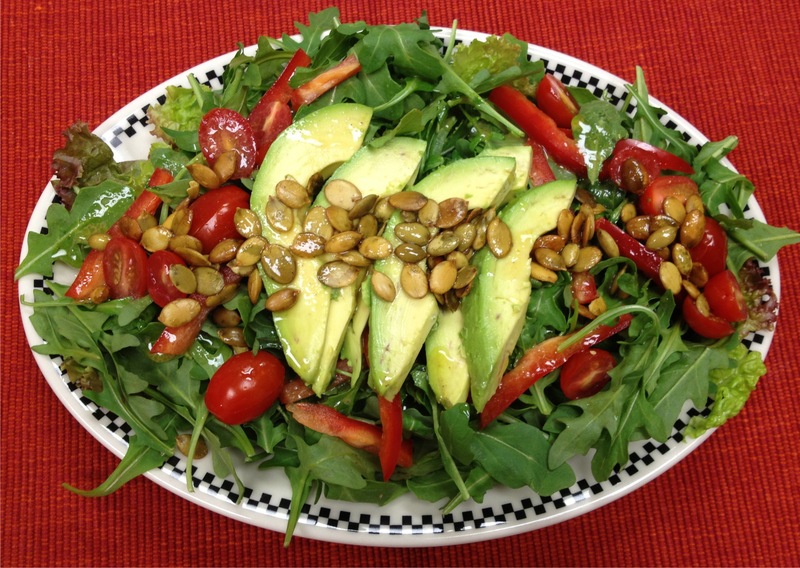 This salad is a perfect example how salads can be so much better made at home! Love the colors! So true – they go hand in hand.